The Yale Undergraduate Aerospace Association promotes and advances aerospace engineering through collaboration, innovation, and outreach. YUAA cultivates leaders who meet challenges with discipline and creativity. Continue developing our first hybrid rocket with solid fuel and a liquid oxidizer to learn to construct more powerful rockets. Design and build a radio-controlled solar plane to investigate solar-powered flight and environmental engineering. Develop a tiltrotor plane capable of vertical take off and landing, one of the major goals of the aviation industry. Build YUAA’s first three stage rocket and expand on our two-stage rocket experience. Last year, YUAA built and launched a high altitude balloon, began work on our first hybrid rocket, constructed a turbo-jet engine, and continued design and construction of a CubeSat to detect cosmic particles in low-earth orbit. YUAA began in 2010 by launching high-altitude balloon projects designed to photograph the Earth and perform atmospheric experiments. YUAA’s second balloon, Horizon, took this website’s banner image. In 2013, Yale Aerospace expanded into high-power rocketry, winning first place in the Astro-Egg Lander event of the Battle of the Rockets competition in Culpeper, Virginia. At the same time, YUAA created the Command Center, an electronic control and communication module programmable for use in any aircraft. A major breakthrough came in the summer of 2014 when YUAA’s rocket team competed for the first time at the highly prestigious Intercollegiate Rocket Engineering Competition (IREC) in Utah, and won 2nd place in the payload category. The rocket, Chronos, carried a payload to measure the effects of gravitational fields on time dilation according to special relativity. In the 2014-2015 academic year, Yale Aerospace underwent some major expansions as we enrolled more new members than ever, and began our first forays into astronomy projects with the Radio Telescope, as well as multi-stage rocketry. The following year we inaugurated our first ever multi-year project, the Cubesat, with the goal of eventually launching it into low earth orbit. In the summer of 2016, YUAA repeated the success from two years ago by winning 2nd place yet again in the payload category at the Intercollegiate Rocket Engineering Competition, with our rocket Ziggy Stardust. YUAA members have traveled to rocket competitions, flown autonomous aircraft, imaged distant galaxies, launched balloons, taken videos with quadcopters, navigated blimps through an obstacle course, tested hybrid rocket motors, and more. YUAA welcomes everyone, regardless of prior experience, skill level, or academic background. Team members learn, link, and apply the many techniques and disciplines that constitute aerospace science and engineering. 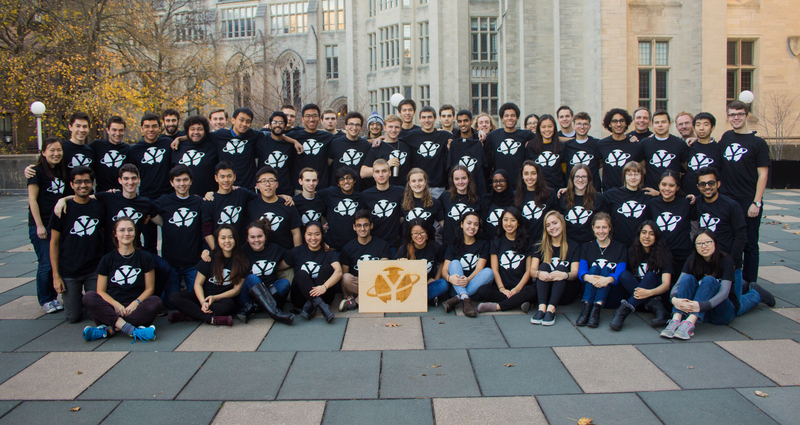 YUAA grows by building long-term relationships with Yale students and faculty as well as with local and national off-campus organizations. To learn more about doing fun and challenging engineering in a friendly and exciting environment, contact us at yaleaerospace@gmail.com.